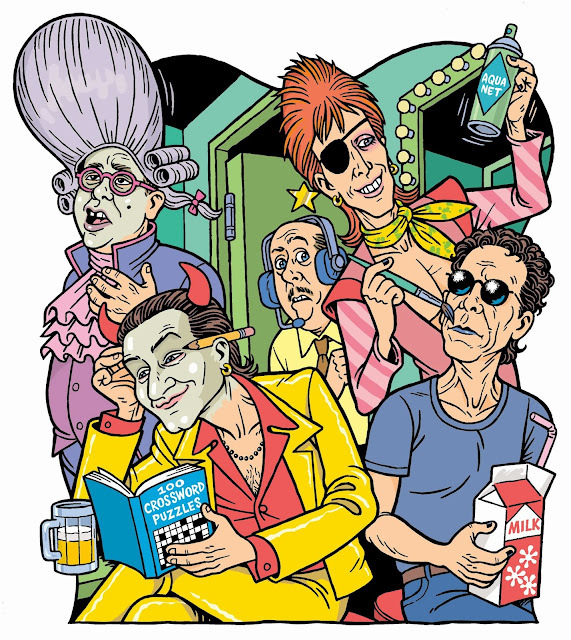 Lou Reed RIP: I don't think I've drawn Lou Reed more than once. It was for Tower Records' PULSE Magazine in '97, art direction by Ned Hammad. Here's Lou in the dressing room with fellow makeup aficionados Bono, Bowie and Elton.